You all know my love of breakfast for dinner. We have it at least once a week. Our old waffle maker broke a few months ago so I ordered this new one, a FLIP waffle maker, it’s AMAAAAAAZING! I had high hopes for the PERFECT thick belgian waffle, but haven’t had the best of luck with waffle makers. You guys… this machine is AWESOME! It cooks fast, hot, and fluffy! Seriously amazing, FINALLY the perfect waffle! 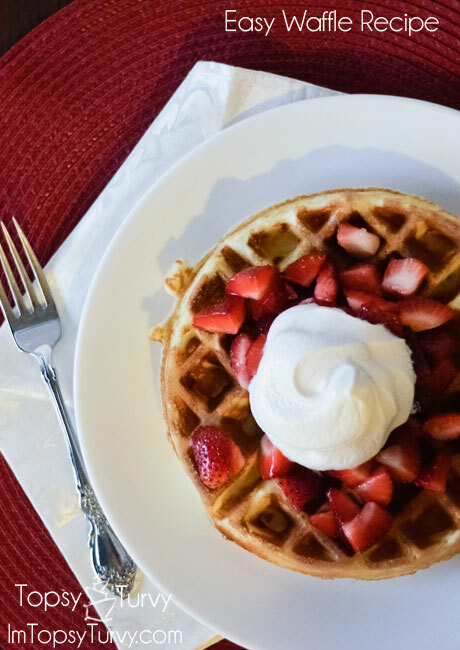 I’ve tried a few different waffle recipes and it works great with every one I’ve tried! This is my fast and easy to go recipe! Pour the wet mixture over dry mixture and blend until pebbled. Cook in preheated waffle iron 3-4 mins. Until the smoking stops. 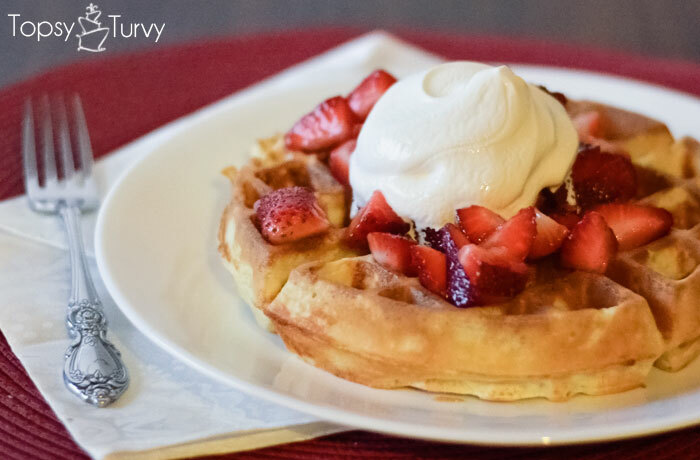 This is my fast and easy go-to waffle recipe. 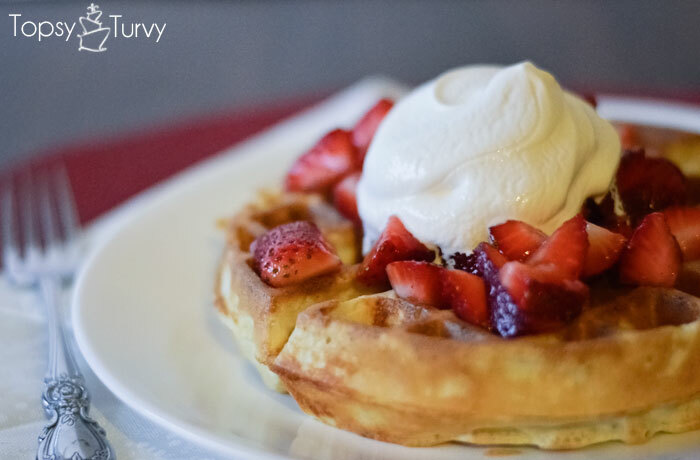 what do you like on your waffles? Oh my, looks delicious! I could eat breakfast for every meal! Thanks so much Yvonne, coming from you and your great tastes that means a lot!